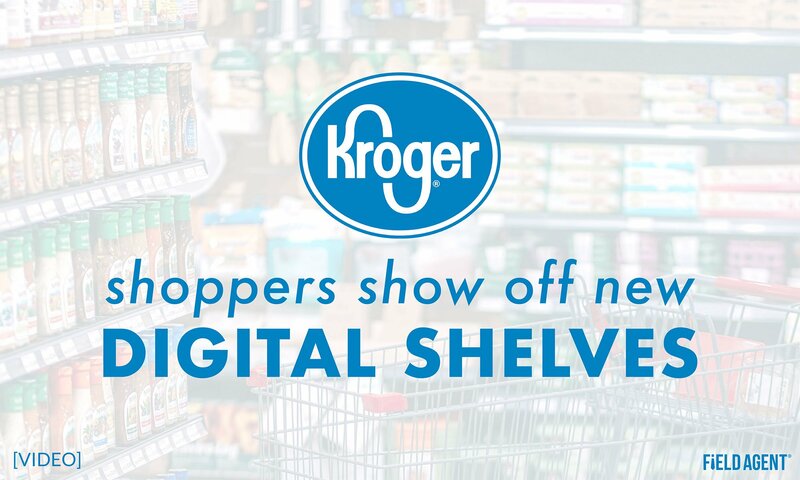 Kroger may have an EDGE with its new digital shelves. The grocer is partnering with tech giant Microsoft to develop a new “retail-as-a-service” product for the retail industry, with implications for merchandising, employee productivity, out of stocks, and even the collection of shopper insights. 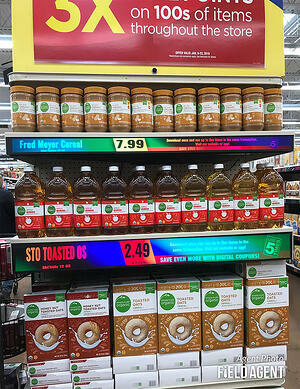 But perhaps the most visible—and shopper-facing—manifestation of this partnership, EDGE Shelf, is already on-display inside two Kroger-owned stores, one a QFC in Redmond, Washington and the other a Kroger in Monroe, Ohio. So retail-auditing and insights firm Field Agent enlisted eight shoppers—four in Washington and four in Ohio—to capture video and photos of Kroger’s state-of-the-art shelf technology. We weren’t disappointed. The video immediately below gives you an up-close look at EDGE shelves, complete with commentary from the shoppers themselves. Of course, it doesn’t matter how sophisticated the shelves are—ultimately, shoppers have to like them. So scroll even further down to read some of the feedback offered by our agents. Below are some questions we posed to participants, along with their responses. 1. In one sentence, what are your thoughts about the digital shelves? "...you can change the color to indicate sale prices, so it pops out at the consumer better." "They're easy to read and update, plus they jump out at me as a shopper." "...[the shelves] are a lot cleaner looking without tags hanging off." "I think they're a really cool and innovative way to update information available on each aisle." 2. What words would you use to describe the digital shelves? Responses included bright, unique, innovative, simple, smart, eye-catching, efficient, eco-friendly, appealing, cool, and exciting. 3. Which one emoji (of 12 presented) best captures how you feel about the digital shelves? 4. How influential do you think brand messaging on these digital shelves will be over your purchase decisions? 5. Which shelves would you prefer in the stores where you shop for groceries? Checking Out: Several of our participants described the digital shelves as eye-catching. 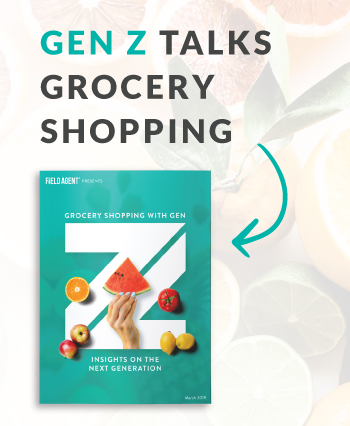 In a world where it's becoming increasingly difficult to capture the shopper's attention inside stores, the results from this eight-shopper exploration of Kroger's new EDGE technology hint that digital shelves may be an effective way to get products noticed by shoppers. Free Download: "Shopping on the Cutting-Edge"
What do shoppers think about drone-delivery, checkout-less stores, and shopping with "smart" speakers? They're all quickly becoming reality. Field Agent surveyed thousands of shoppers to understand the potential of these three trailblazing, retail technologies. Download our special report, "Shopping on the Cutting-Edge," to view the results.